Let’s be perfectly honest. Search engine optimization, SEO, is about as exciting as getting a tooth pulled. That’s exactly why most business owners tend to throw it on the back burner. It’s okay. We don’t blame you. However, if you’d like to see continuous growth from online consumers, expert SEO is critical to your online marketing. This isn’t about simply wanting something. Your business needs results, and that’s exactly what our Oregon SEO experts will give you. Would you like to have more customers calling your business? At Turn the Page Oregon, we are focused on two things — online marketing and delivering results for our clients. We don’t believe in the idea that an SEO agency can simply run your website through a cookie-cutter and the results will be good enough. We pride ourselves in being experts at helping businesses achieve amazing growth through aggressive, consistent, cutting-edge SEO. 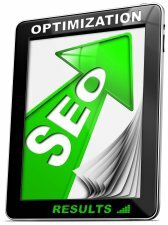 Our goal is to create an affordable, custom SEO marketing strategy designed specifically for your unique business. Are Competitors Stealing Your Sales? This is a great question. Have you actually taken the time to answer it? Jump on Google or Bing and do a search using words your customers would use to look for your products or services. Who shows up in the top five spots on the page? Oh look, your competitors show up at the top of the search results. And guess what — They’re who I’m buying from. Consumers are not going to sit there for hours looking through a sea of search results just to find you. They’re going to perform a search, look at a couple results and go spend their money. Our expert, Oregon-based SEO services are designed to get you to the top of the search results so you can grow your business. Online marketing services provided by Turn the Page Oregon have increased our customers’ sales by as much as 139 percent in the first year! Would you like to increase your sales? Is Your Current Online Marketing Effective? Call us at 971-200-1670 and find out how effective and affordable SEO can be.